garden-larder: Broad beans, tomatillos and new boots. Broad beans, tomatillos and new boots. So far this week has been very busy with the Painted Mountain corn finishing so I am cutting off the stalks at ground level (to allow the roots to rot in the soil) and digging the beds ready for autumn planting. I was going to start sowing brassica seed in trays this week but the weather has turned hot again and with the temps predicted to be in the high 30s (Celcius) for at least the next week I have put it off a little. At least the hot weather can't last much longer. 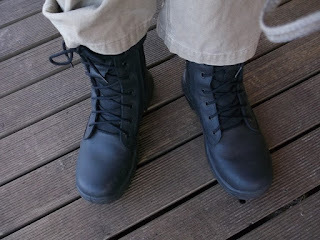 I went to town yesterday to buy myself some new work boots. I love Steel Blue boots and I don't think I would bother going with any other brand as these fit very well and are very comfortable. I also bought myself another cheap cupboard for my small seed jars. 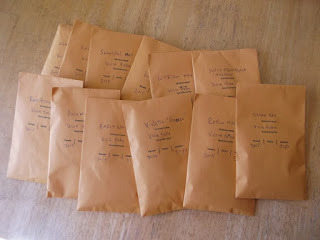 I am impatiently waiting for the water bills due any day now so I can pay them and start saving up for my seed drying room. This will cost about $4000 to build but will be worth it as doing seed in my home is just getting too much with the amounts I am working with now. 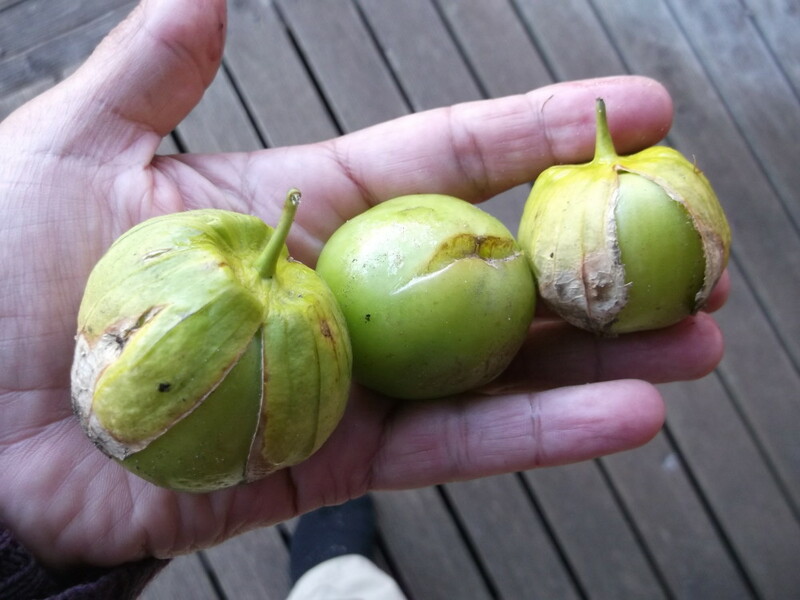 The bit of rain last week caused the ripening fruits of my giant tomatillo to split so I had to pick them. I was surprised that I like the taste as much as I do as I expected them to be too sour for me. Anyway, the seeds from them are drying but there was hardly any seeds in them so I will have to be careful with them next year as I want to grow out a heap. 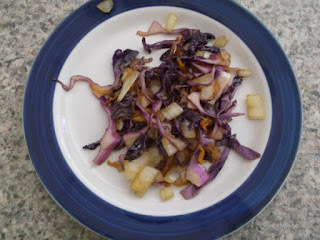 We cooked up the cabbage I showed you in my last post in four ways - boiled, sauteed, steamed and coleslaw. It was a bit strong tasting raw (probably to be expected when grown through summer) but became a lot milder with cooking. When boiled it became a real girly lilac colour but my parents didn't bat an eyelid when it was served up to them, they are used to veggies in all colours appearing on their plates and don't even say anything nowdays. To stop red cabbage losing its colour when cooked you need to acidify the recipe with vinegar or lemon juice, which I forgot to do. 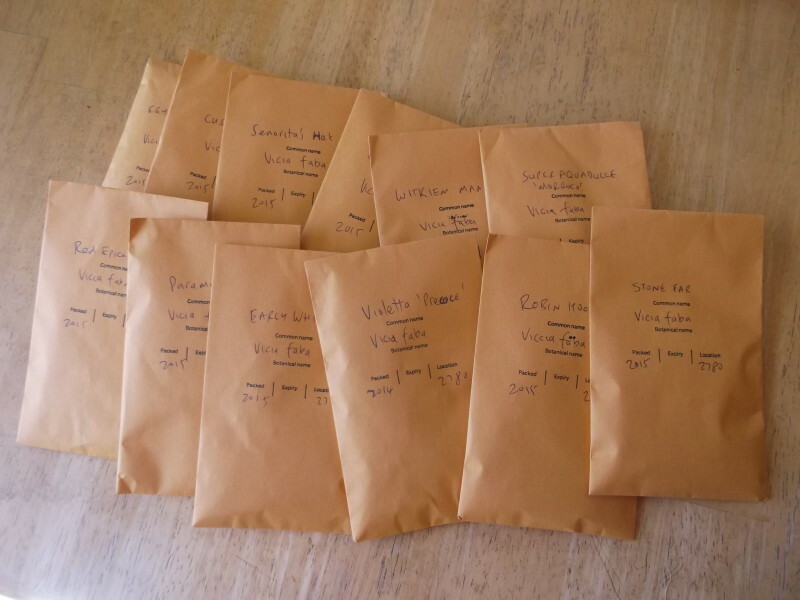 I got a surprise in the mail today, a heap of varieties of broad beans, many of which are quite rare and unknown. 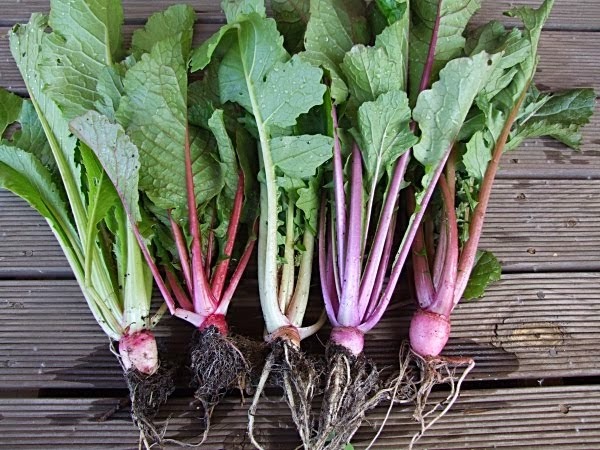 I can't wait to grow them as many have extraordinary taste or colour. I don't think I will have enough room to plant them all this year without risk of cross pollination but I will get at least half in the ground.